I have a very special make to show you today, I’m quite proud of this one! The toddler is really interested in telling the time and we bought him his first digital watch last week. 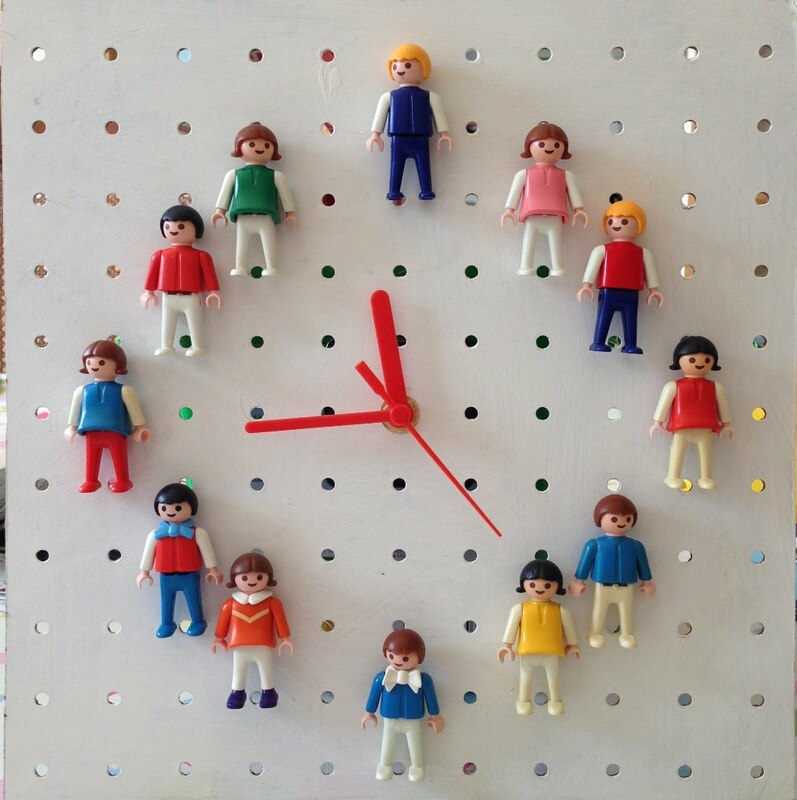 We’re in the process of re-decorating his room so when I saw a colourful clock made with Playmobil people on Pinterest (pinned here) I knew I had to try making it myself. Playmobil is very popular in our house at the moment with both my children. 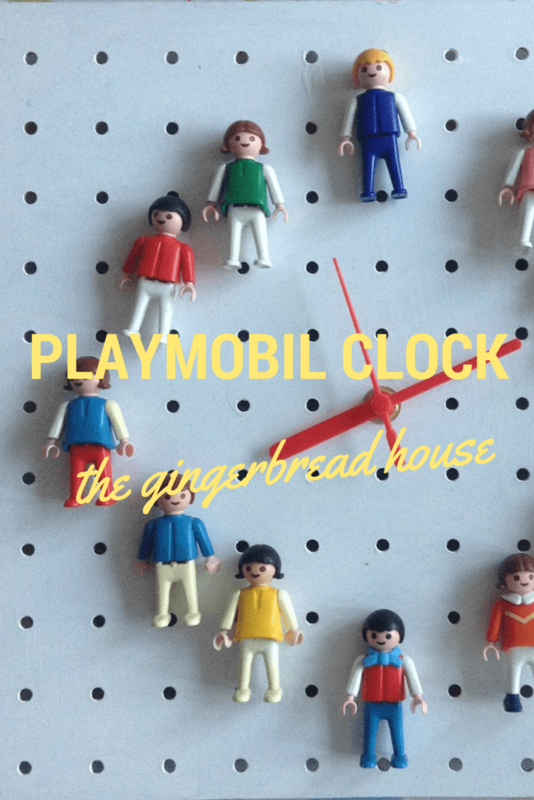 I recently bought myself them a large bag of vintage Playmobil people to play with so chose 12 children from them to mark each hour. 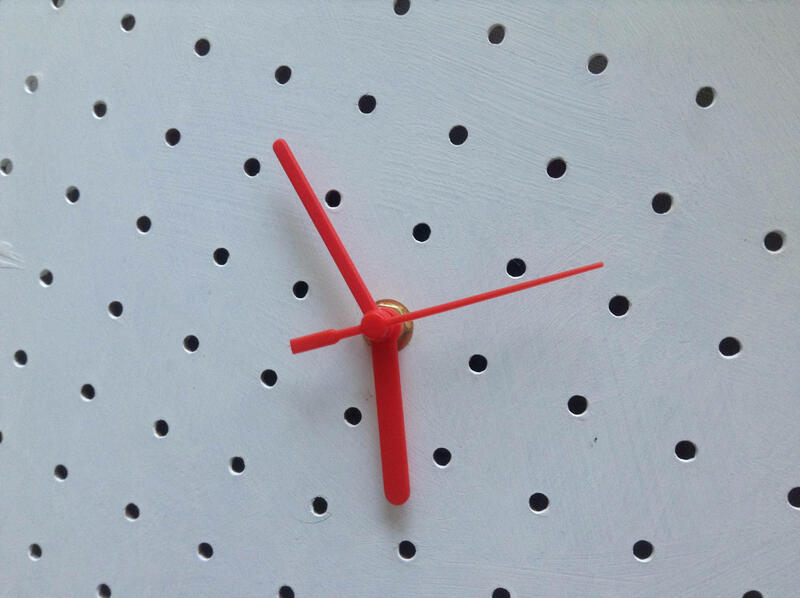 I bought a simple clock mechanism from eBay and attached it to the pegboard, which I had already painted white and cut to the right size. I then played around with the figures until I was happy with how they were arranged so the colours were evenly spread. 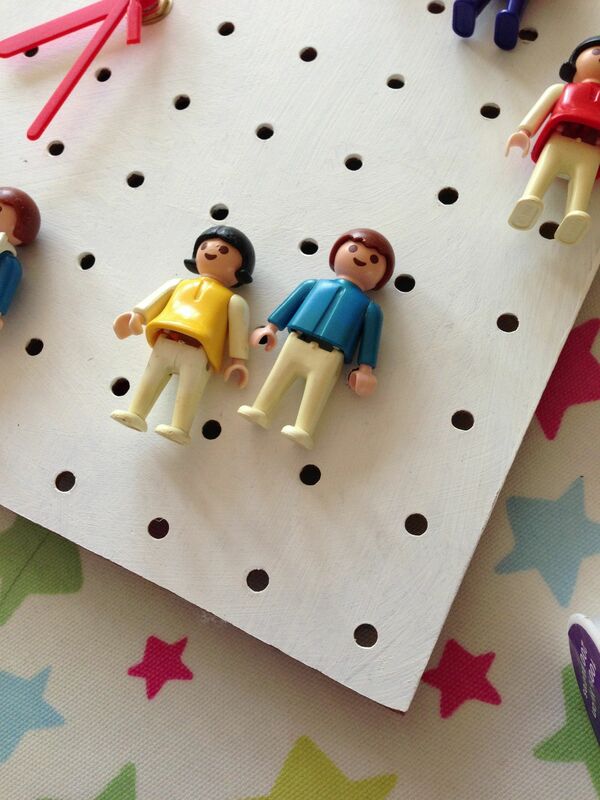 I used a glue gun to place a small amount of glue on the back on each figure and gently pressed them on to the pegboard. I left it to dry overnight to make sure the figures were fixed in place. I love it, and just need to finish decorating the toddlers bedroom now! Awesome! The kitchen clock disintegrated the other day and I rescued the hands and mechanism out of it while I decided on how to create a new clock. Decision made! I love mine, definitely brightens up the room! 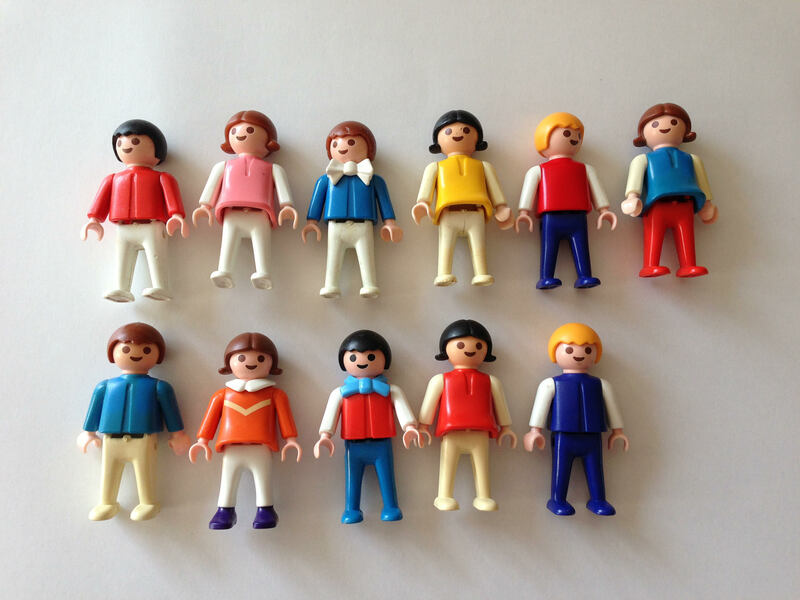 You could use any little people, Lego minifigs would look great too! Tired of buying toys for grandkids. This is adorable! Going to try it with miniature Thomas Trains.